If Im getting up for sunrise while at home in the Bay Area its usually to go visit the Golden Gate Bridge or some other iconic spot in San Francisco. 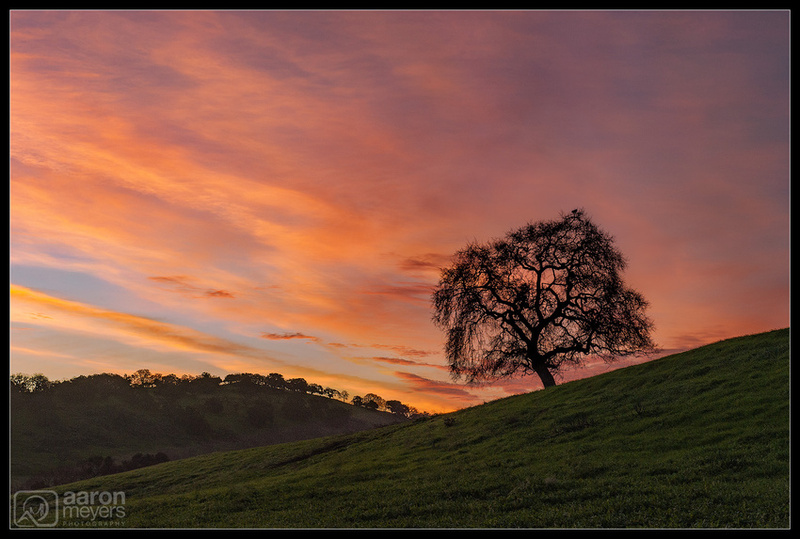 The Bay Area has some other beautiful locations though: tons and tons of rolling hills with beautiful oak trees dotting all over. They become especially pretty in the winter and spring, when all the winter rain turns our golden hills into stunning green hills.